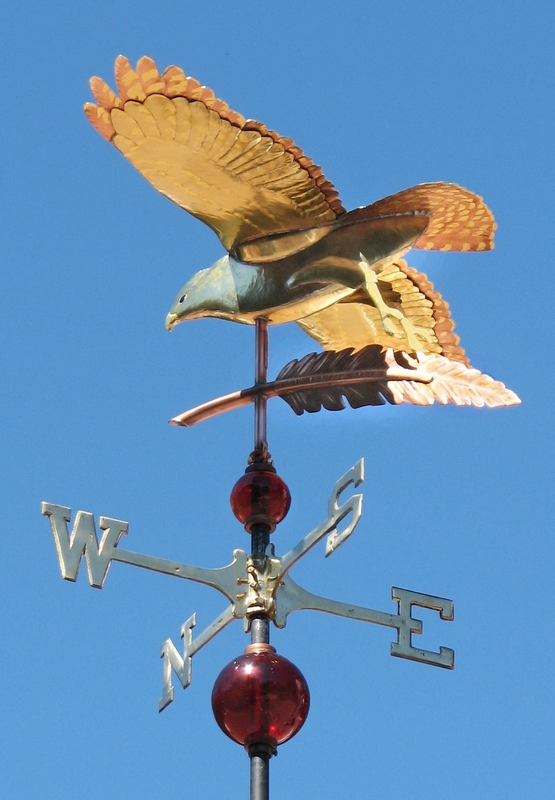 Our Red Shouldered Hawk Weather Vane, Buteo lineatus, is actually quite similar to our Red Tailed Hawk Weathervane. 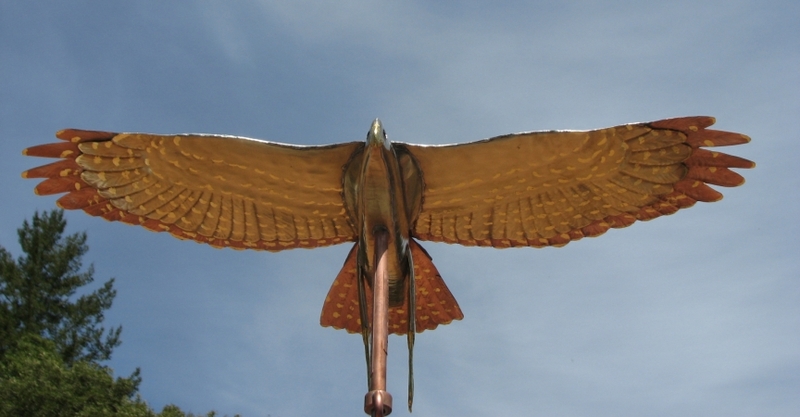 The primary difference between the two is their markings. 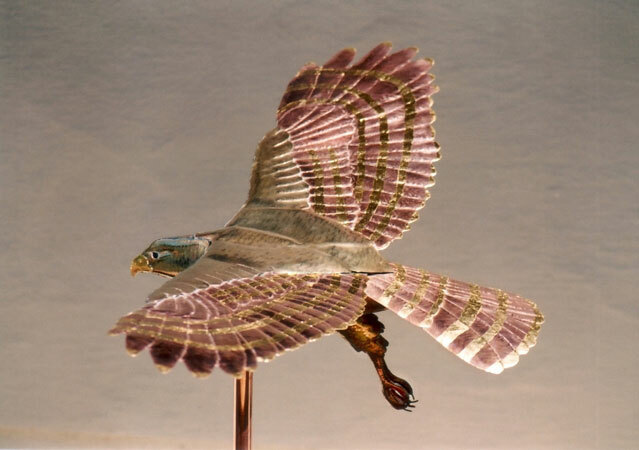 The Red Shouldered Hawk has very distinctive banded markings on its wings and tail which are seen when it is soaring. 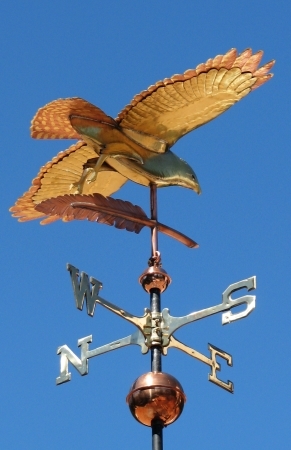 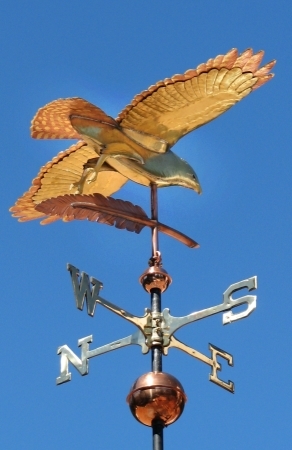 These markings are depicted on this weather vane with applied gold leaf. 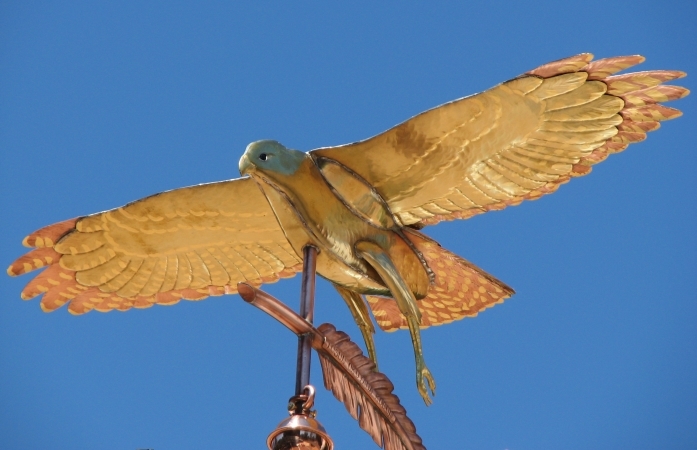 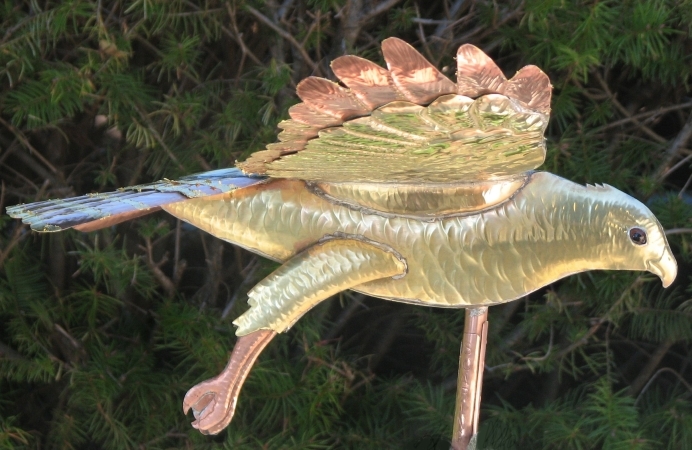 The Red Tailed Hawk Weather Vane does not include these gold leafed markings. 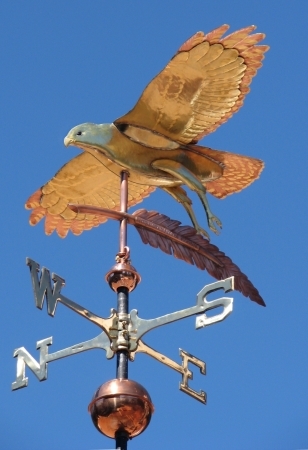 Both of our Flying Hawk Weathervanes have an option of an added feather between the bird and the directionals. 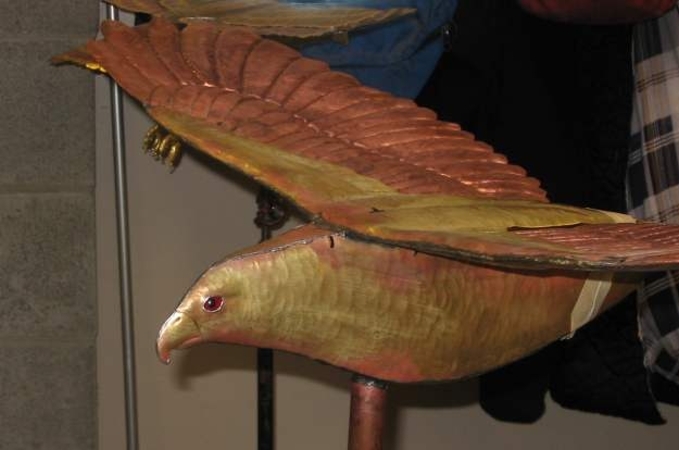 The Red Shouldered Hawk can be crafted entirely out of copper or we can make it with a brass beak, body, inner wing panel, and feather leggings to give it a subtle color distinction from the copper. 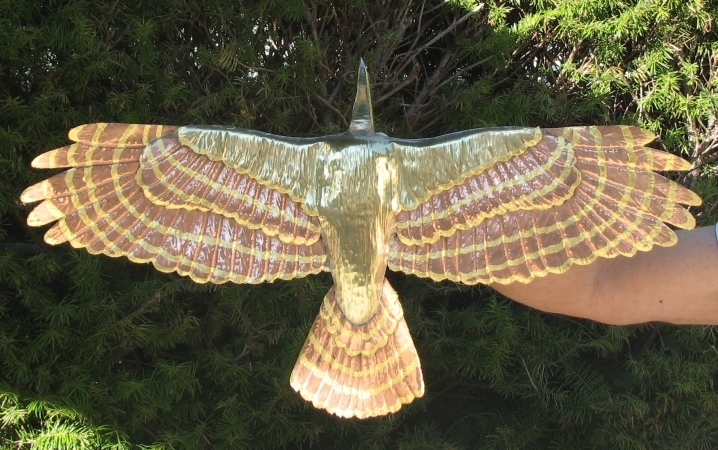 The gold leafed accents are then applied to the finished sculpture piece. 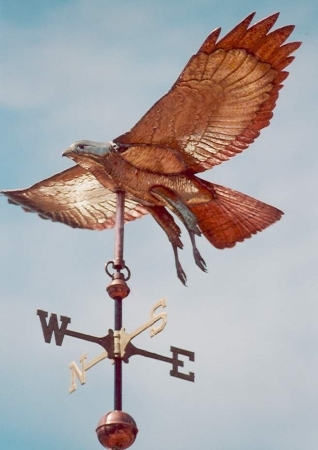 Because these Red Shouldered Hawk and Red Tailed Hawk Weathervanes have outstretched wings, we have an added security device that allows the sculpture piece to turn freely but prevents it from rising up in strong winds . 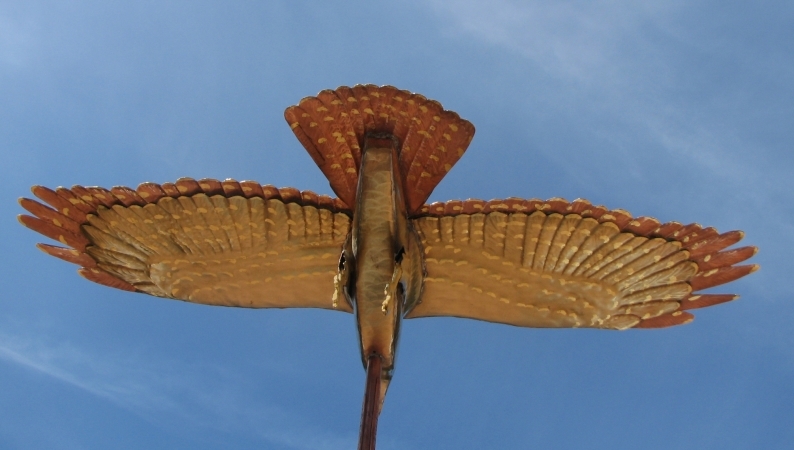 As with most of our bird weather vanes, we make the Red Shouldered Hawk with realistic glass eyes with black pupils. 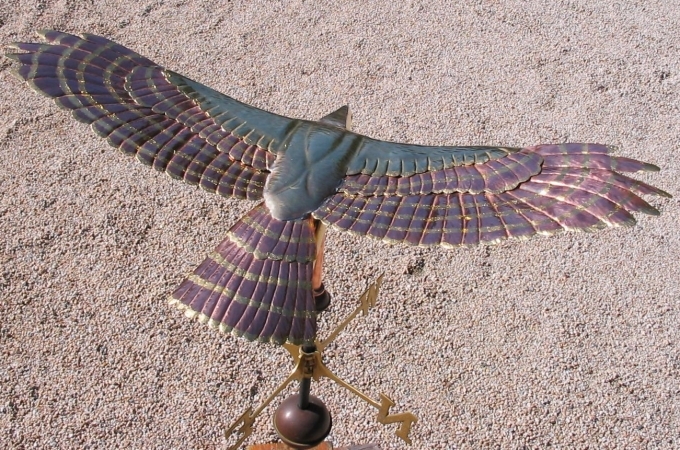 This helps give the hawk that fierce and wild appearance for which they are known. 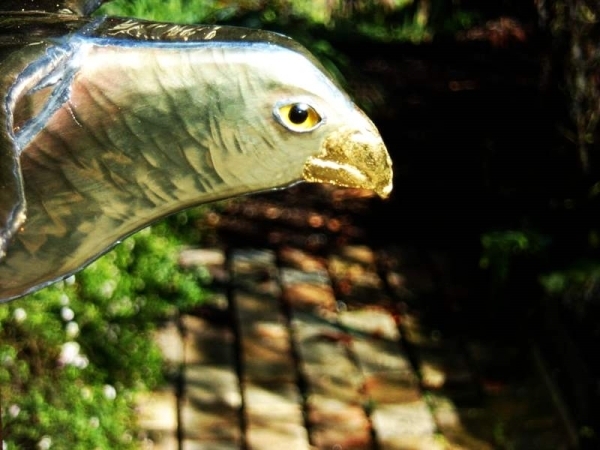 These proud features make the hawk a popular symbol for many team mascots and business logos.